Each designer was paired with a local celebrity. 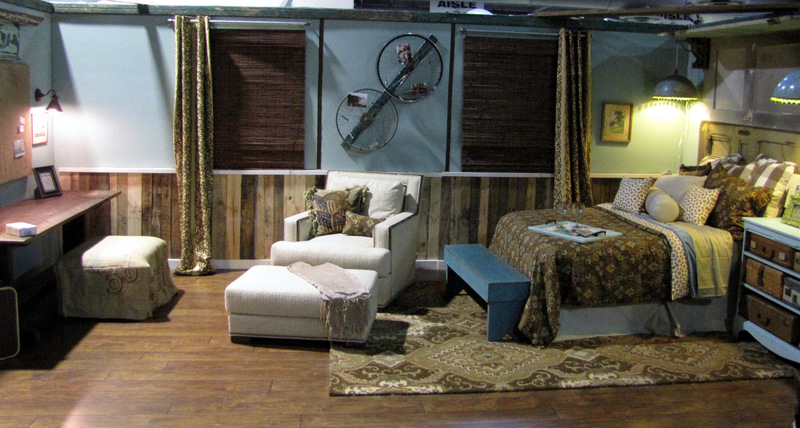 We designed a room specifically with that celebrity in mind. My local star was Gregg Murphy, of Comcast’s SportsNet. 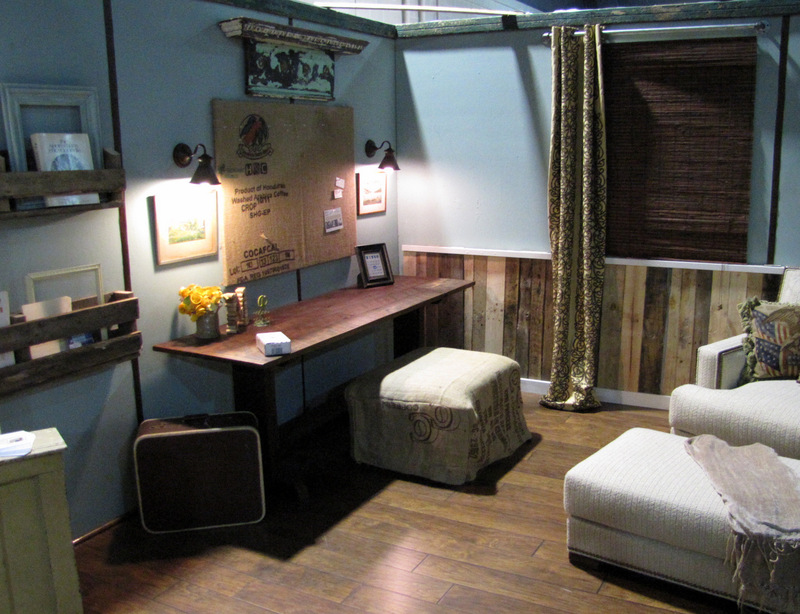 I designed a flea market chic guest room/home office for Gregg. 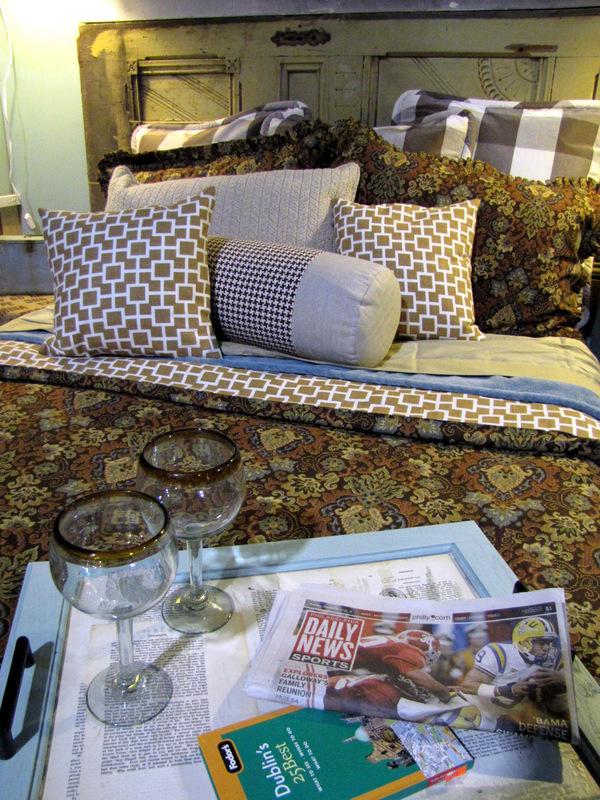 We had an imaginary theme that his relatives from Ireland were in to visit and staying in Gregg’s “Guest Room”. Gregg is a local sports guy loved by Philly fans across the city. He was so fun to work with and spent a lot of time in this finished room meeting and greeting fans. He really made the room come alive and added a special vibe to the room. We even had an impromptu “happy hour” in the room with some friends one night at the show. I’m not kidding when I tell you that I wanted to throw in the towel right then and there when I saw what we had to work with. But with the help of many generous and talented family and friends, we pulled it off. I wanted to share some of the small details with you. 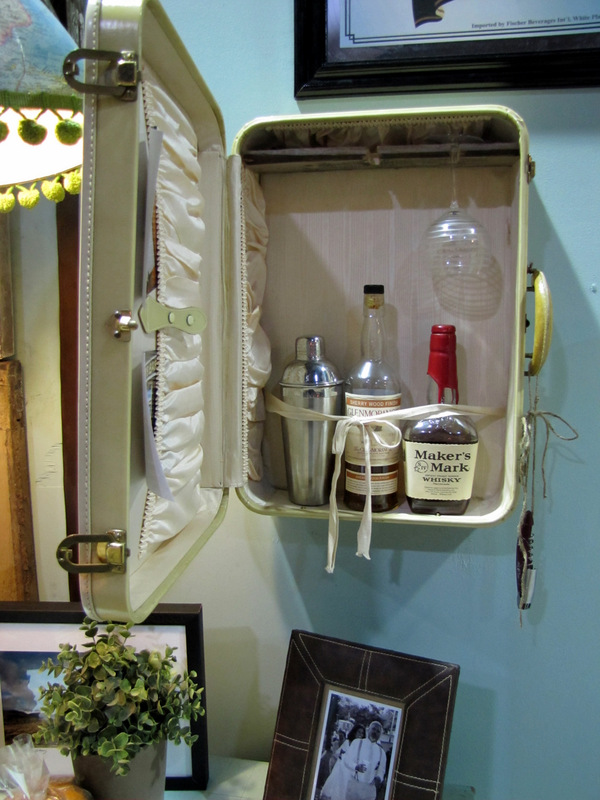 Like this mini bar, which was a huge hit. What guest wouldn’t love this? The dresser doubled as a night stand. I tried to go with the travel feel, and added vintage suitcases throughout the room. 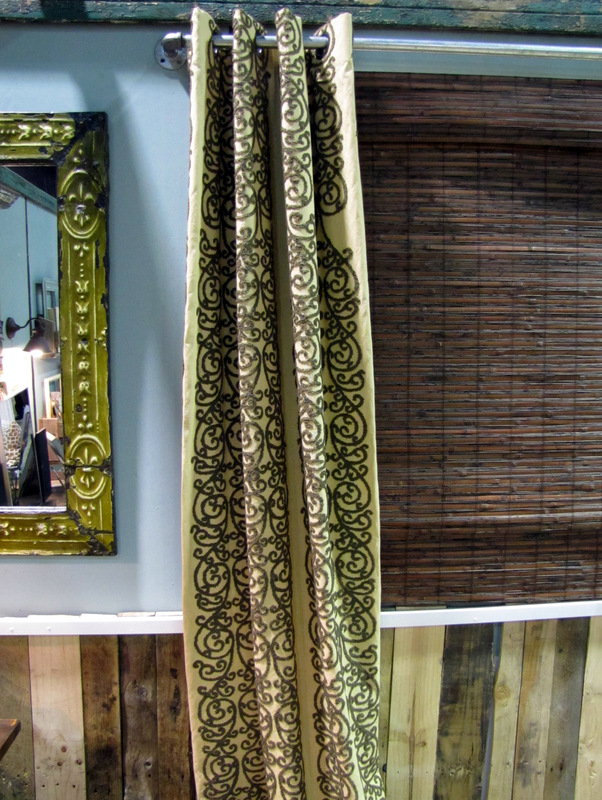 camel colored cotton embroidered drapery panels. 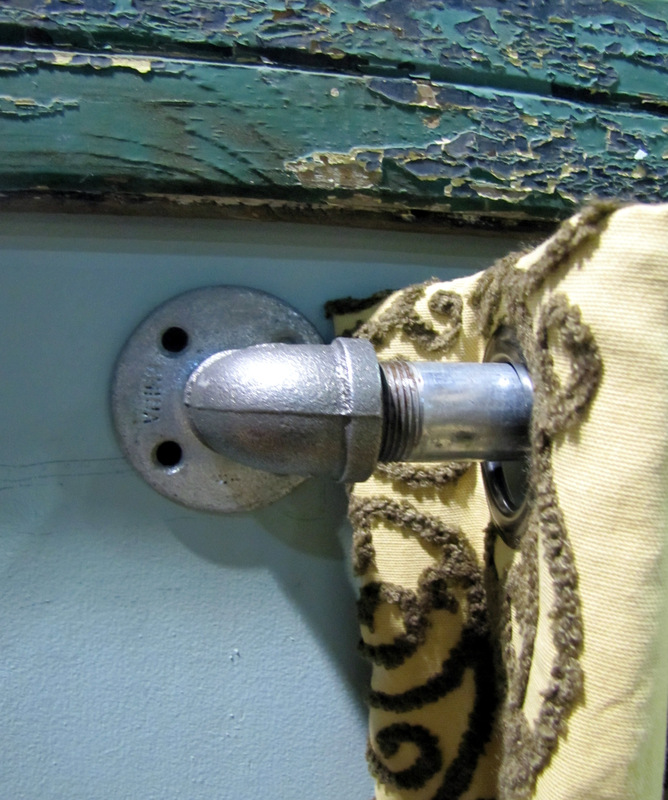 I attached these panels to the wall with plumbing pipes. we used to finish off the top of the walls. It is porch flooring from the porch of an old Philadelphia home from the early 1900’s. On the left side of the room I created a home office. 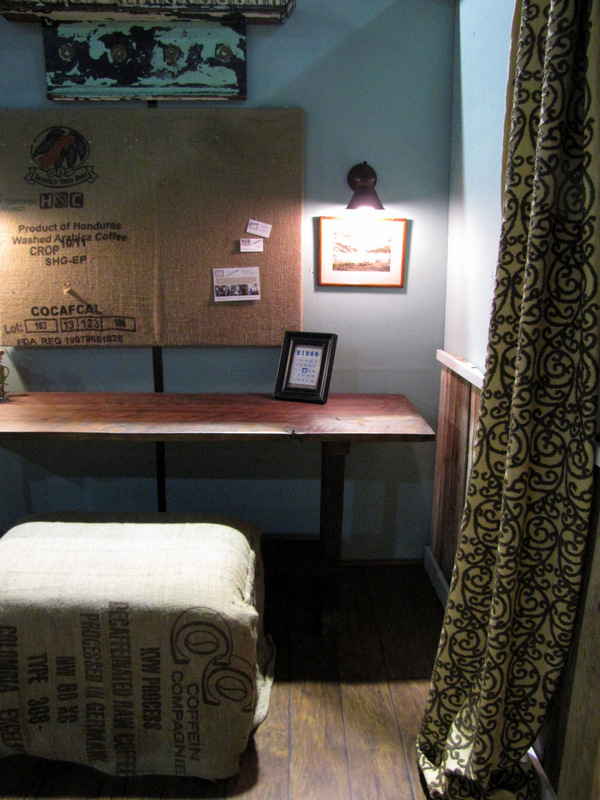 It turned out great thanks to the custom barn wood workstation created by John Duffy, of Stable Tables. 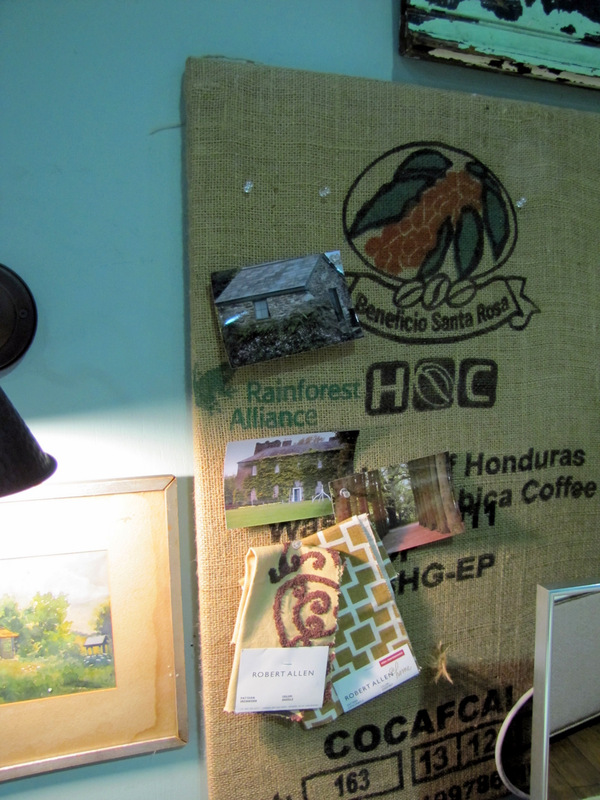 cork board to create a spot to hang notes and work papers. 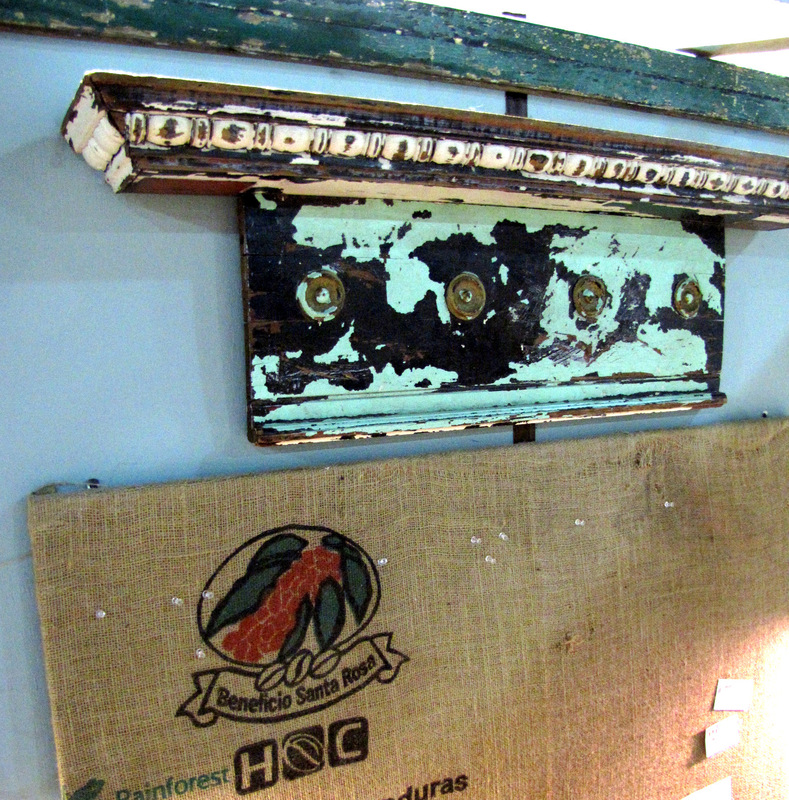 Some gorgeous architectural pieces hung in the room, thanks to Philadelphia Salvage. Home made accessories for the workstation. 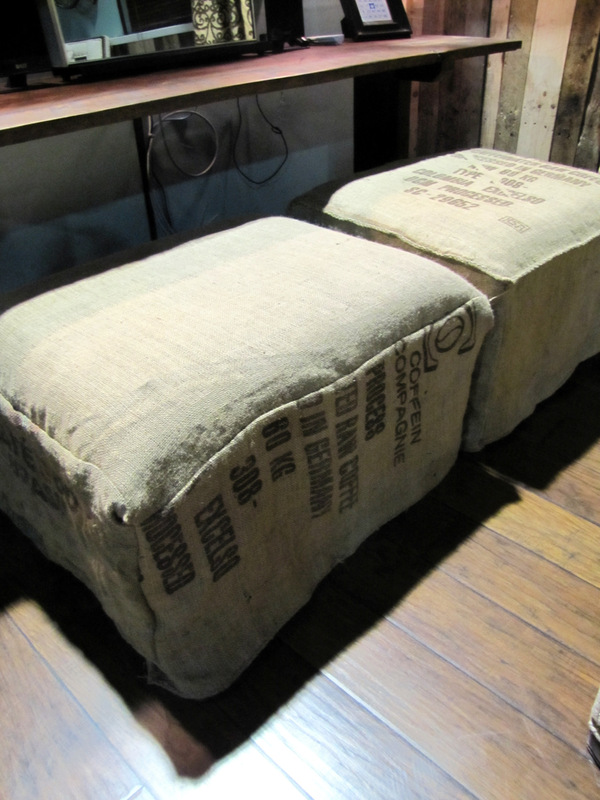 Two second hand ottomans got a quick and inexpensive face lift with coffee sacks. 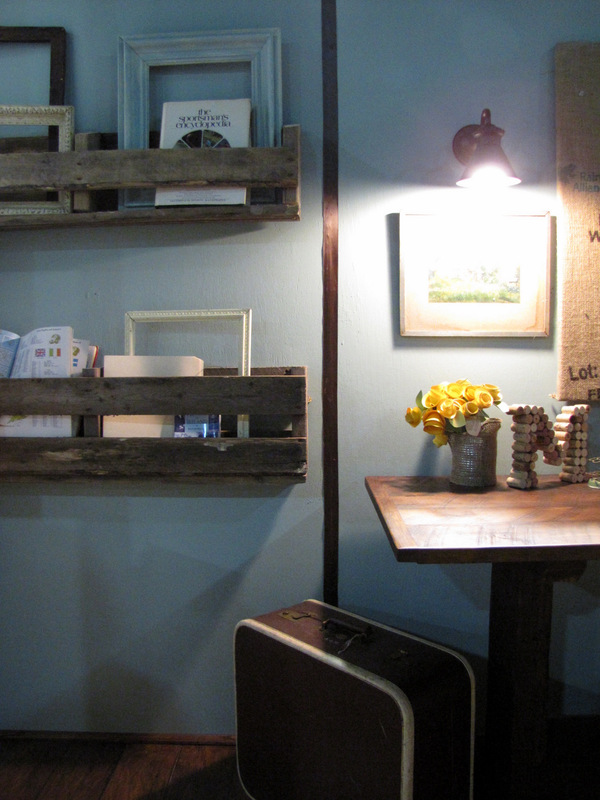 I used shipping pallets to create file holders in the office part of the room. This gorgeous and comfy chair was loaned to me by Robert Allen Designs. It was another huge hit of the room and had an Irish sweater texture to it. 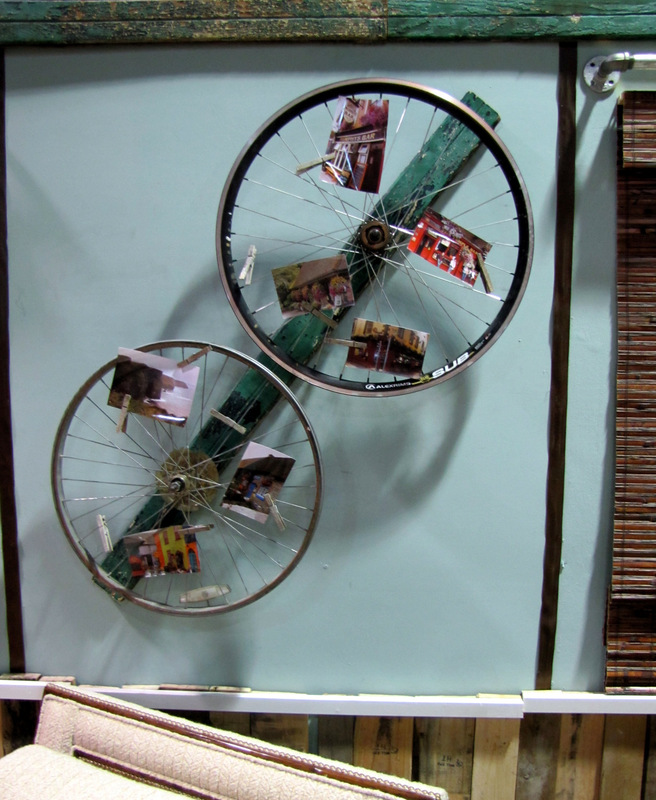 Bike spokes were used to create a spot for Gregg to hang his photos of trips to Ireland. 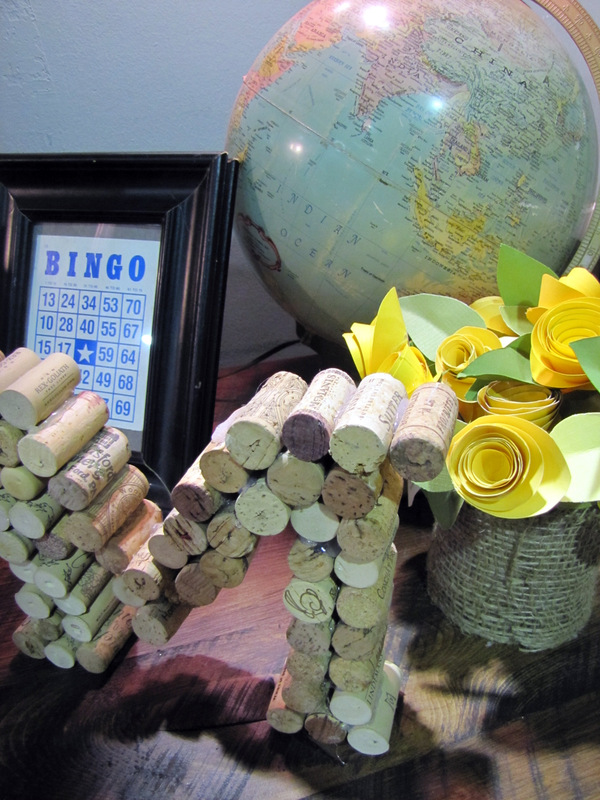 We attached the spokes to a strip of bead board, then used clothes pins to hang the photos. 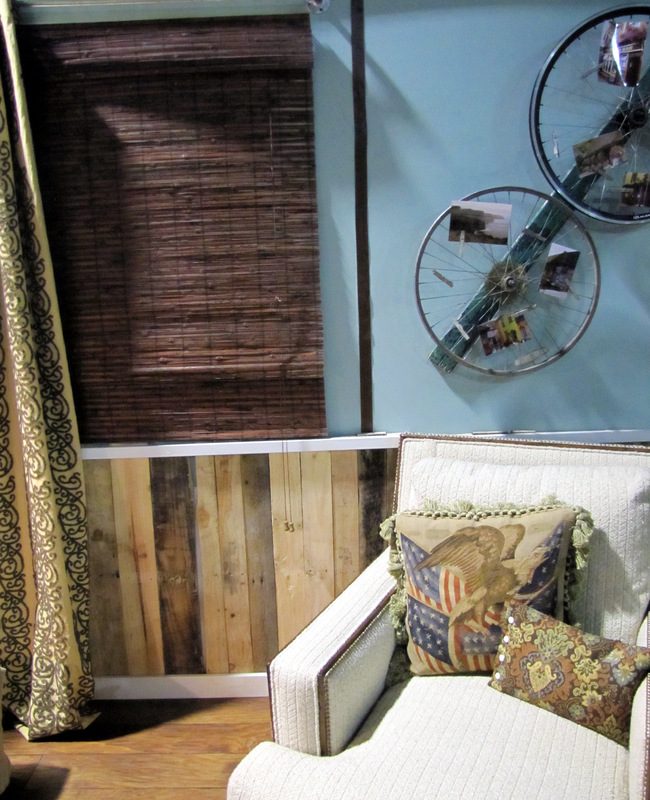 The bottom half of the walls were covered in wood from shipping pallets. 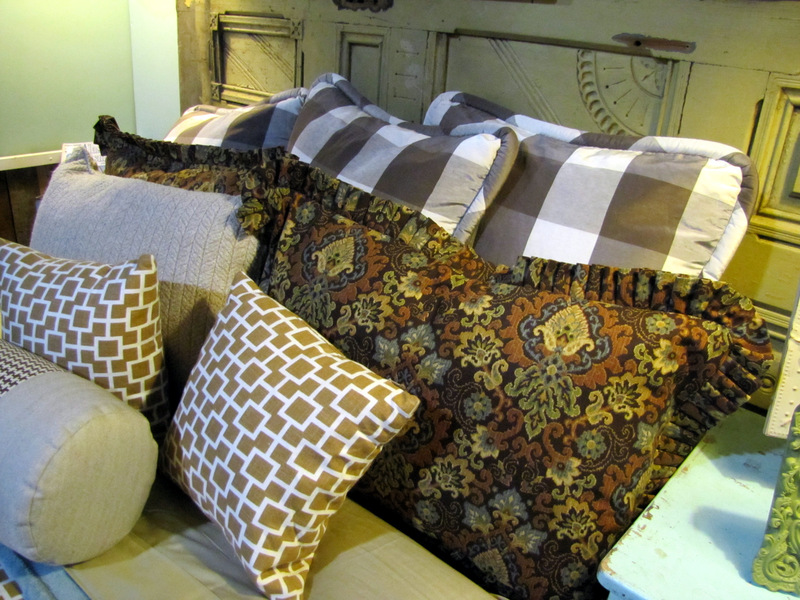 The bedroom side was covered in luxurious fabrics, thanks again to Robert Allen Designs. 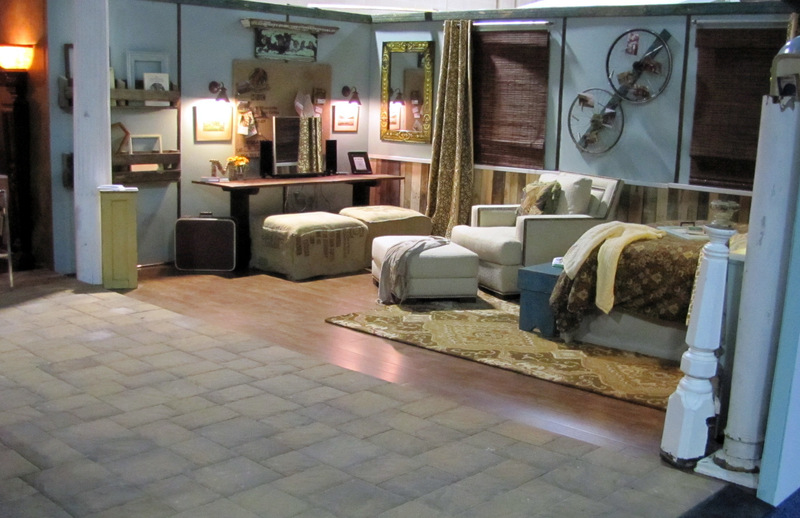 And, the awesome rug from Avalon Carpet and Tile. The headboard was created by attaching 2 vintage doors to the wall behind the bed, adding 2 corbels, and laying a skinny closet door across the top to create a canopy feel. 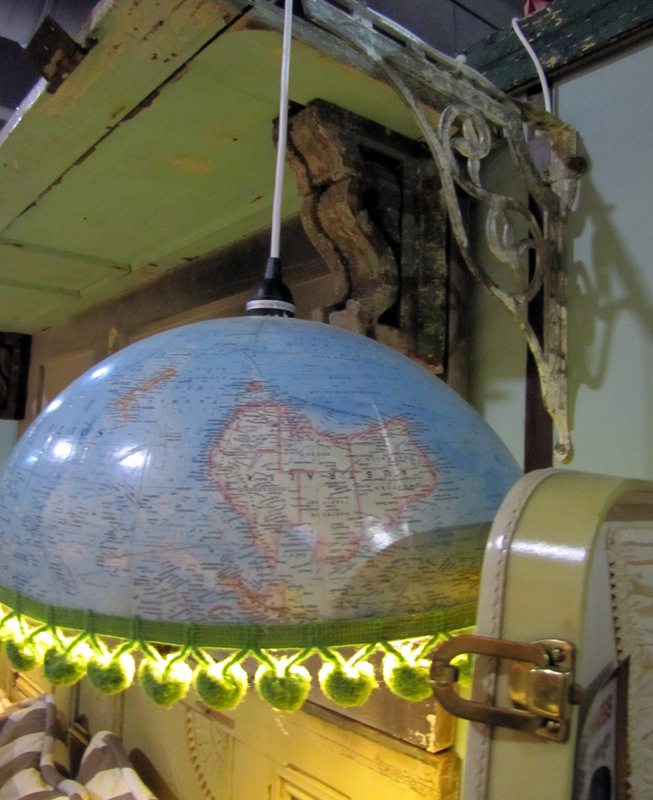 The bedside lamps were created by slicing a globe in half and adding a pendant light. The room and the whole show in general was so fun to take part in. We are already looking forward and planning on next years room. Thanks to all of you who stopped by to visit my room (and me). It means so much to me. 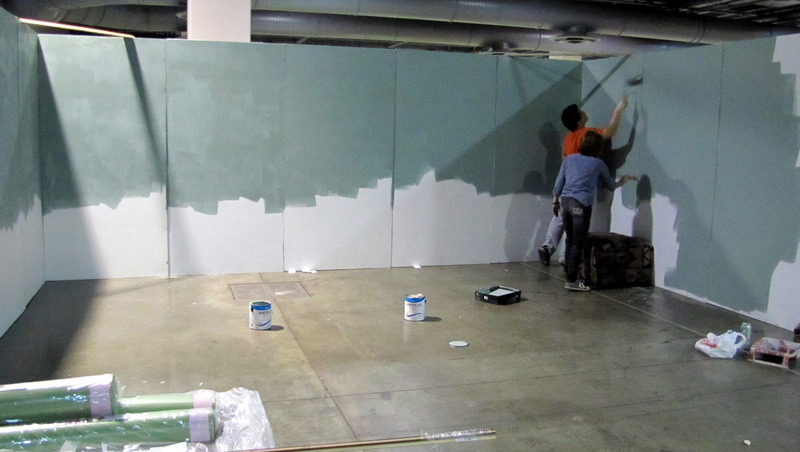 I am currently at the 2013 Philadelphia Home Show with another Upcycled room. If you’re local stop by and see what we’ve come up with this year! I love everything about it–oh so many great textures and things to see! I love this room! Your creativity is amazing and unique! too cute and creative! It looks like such a fun place to stay as a guest! Oh my gosh! You are the most creative, cleaver girl!!! I took away at least six ideas I've never even thought of. Color me impressed! Your room turned out beautifully. 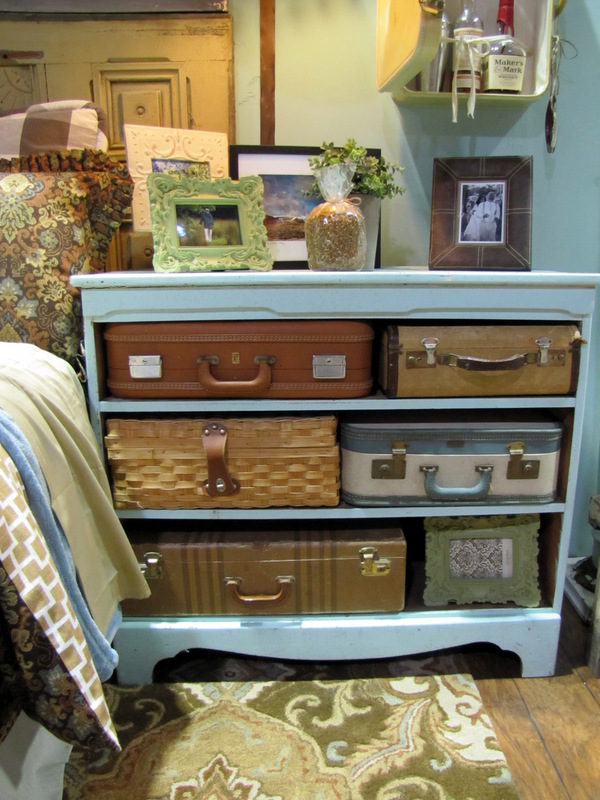 I love the vintage suitcase in place of drawers. And the light shade made out of the globe was brilliant. Great job. I always enjoy your posts. so much creativity. Especially love the chair texture and the headboard. Great ideas! Thanks for sharing them! 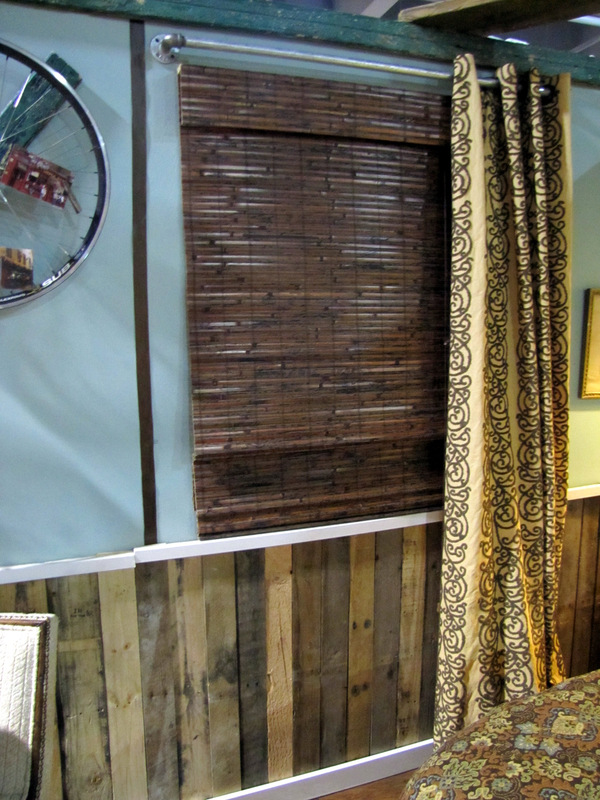 love the crate panelling on the lower walls! Sorry, my iPhone isn't quite cooperating, I didn't intend to type an email, my auto-finish inserted that instead of just my name. I love this so much Denise. You are so talented with creative design. I featured this on my blog. I hope you will visit. I linked back to you and this post. I created the suitcase vignette(that is the name of my blog)with a shelf I had in my garage and suitcases that I had lying around. Thank you for your hard work, it reaches so many, even me a life style blogger. Thank you..visit me at http://www.thriftreveal.blogspot.com and see my version of your gorgeous design. admirably, dawn suitcase vignettes, nice to meet you. 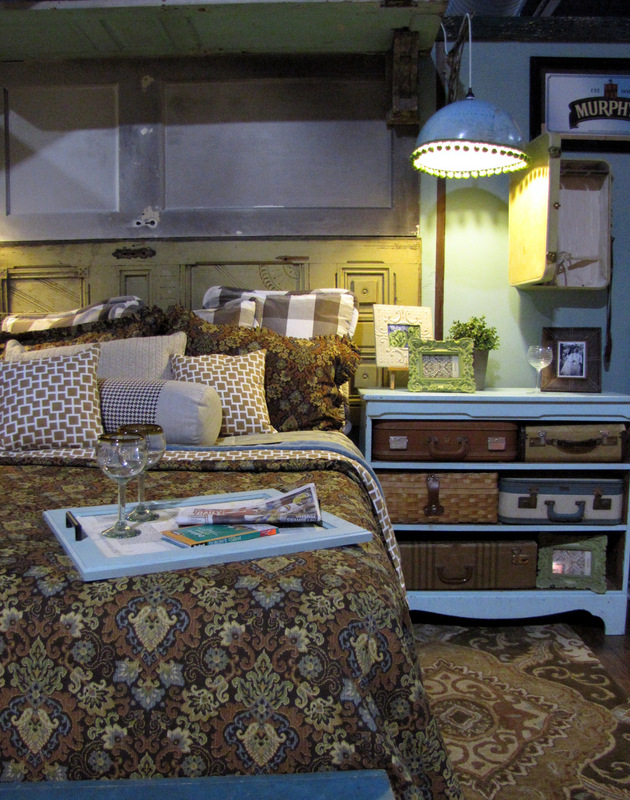 Love the room but LOVE the dresser with the suitcases. 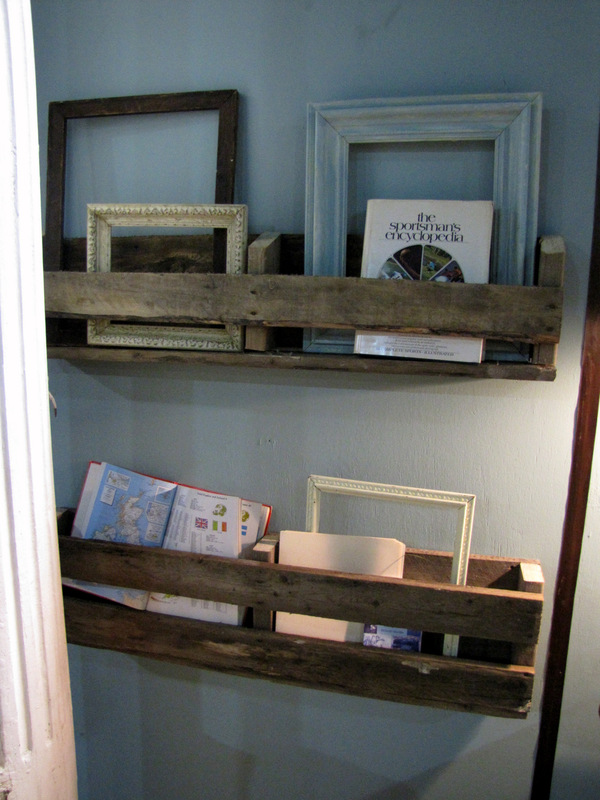 I have an old maple dresser that would be perfect for this! The drawers are coming apart and I'm tired of gluing them back together. Thanks for the inspiration.